In the "Convert" tab, you can add videos from the "Download" or "Record" tab to the "Convert" tab. 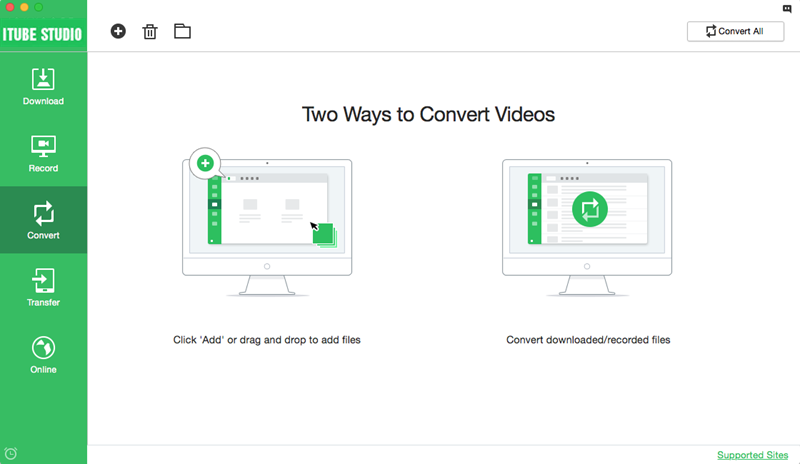 And you can also import your local videos by dragging and dropping to the "Convert" tab. And click on the “Convert” button to open the window for choosing output format. In this case, you can click on the “Game Console” tab. You can choose game devices like PSP, PS3 Xbox 360, etc. Now click on the “OK” button to start the conversion. 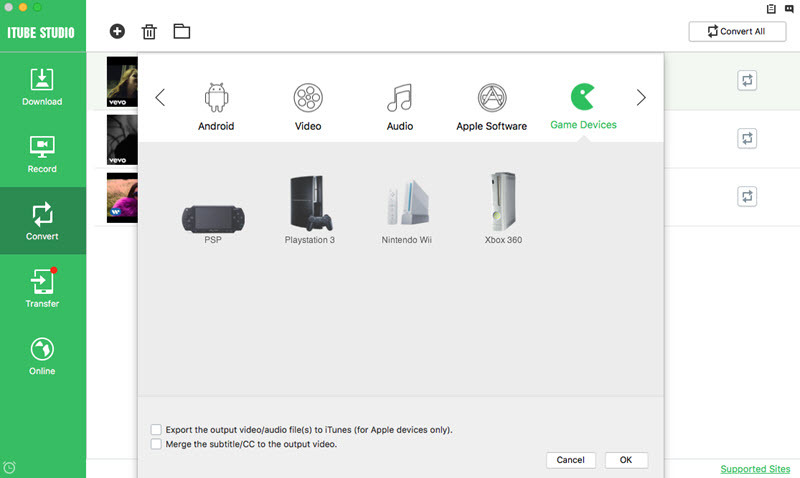 When the conversion is finished, you can directly play the video on your game consoles.